In association with Bali Scuba located in Sanur, Bali; a team of 4 Technical Divers; recently qualified Tec Deep Instructors Claire Greathead, James Fisher, Parham Khoshbakht, and Course Director and Tec Deep Instructor Trainer SF Chong, conducted a Project AWARE Reef Clean Up mission at a dive site in Tulambem, Bali named “The Drop-Off”. 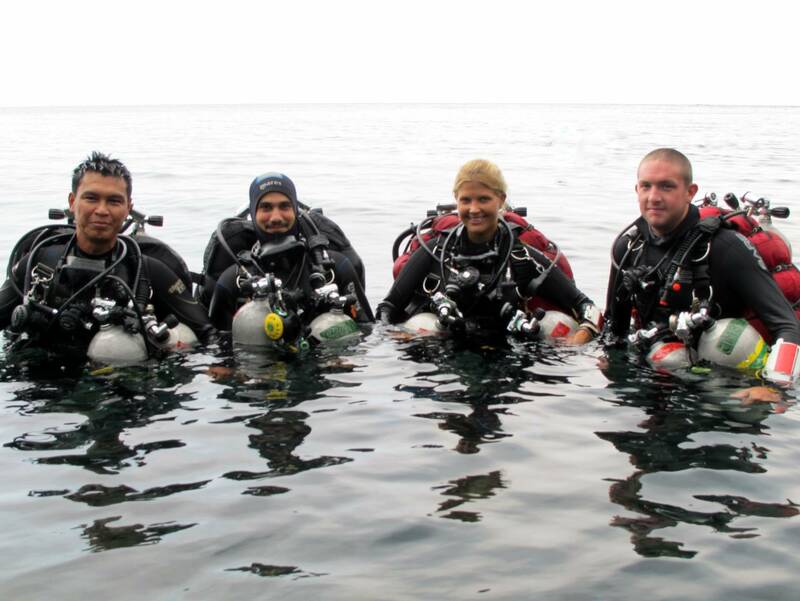 The Drop Off is dived on a daily basis and is enjoyed by both recreational and technical divers, and in addition was the site in which the Tec Deep Instructor course was conducted by Course Director Knut E. Hoff. Over the training period it was evident that the site would greatly benefit from a Clean Up, and given that the rubbish extended down below 50meters, it seemed an ideal opportunity for the team to put their skills into practice and do their bit for the environment and Project AWARE. 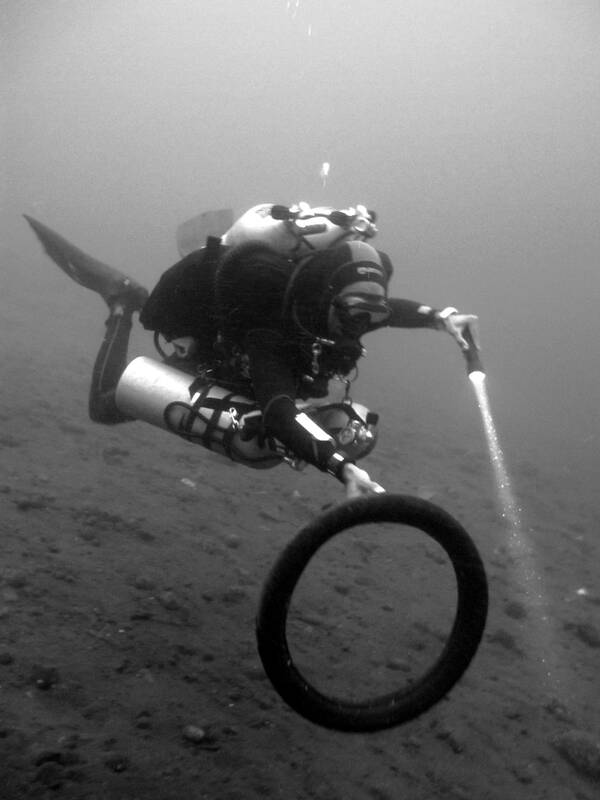 Preparations for the technical clean up included three prior mission dives to survey and locate the rubbish, and also relocate some pieces to a more accessible sandy location, thus simplifying the mission on the day and enabling the preparation and testing suitable clean up bags. Due to the amount of rubbish underwater, small catch bags would not be sufficient; therefore kit-bags were tested and used for the mission enabling a great amount of rubbish to be collected. On the day of the Clean Up the team geared up and prepared to descend to 60 meters for 20minutes and 50 meters for 30minutes on the second dive to commence the mission. To the teams surprise there was far more rubbish than was anticipated including a recently fallen car type that was not present on the survey dives, meaning the bag soon filled up! The team effectively freed up numerous pieces of coral from bags, pieces of material and cut free approximate length of 215 meters of fishing line in total, as well as collecting a large number of pieces of clothing, shoes, plastic and glass bottles, and general rubbish. A lift bag was effectively rigged and used to aid the team in bringing the rubbish to the surface without interfering with the decompression schedule. After both dives were completed the team assessed the total rubbish collected which equated to two huge kits bags full of rubbish and two car tyres, meaning the clean up mission was a great success and the first Technical Clean Up to be conducted in Bali, Indonesia! The team would like to extend their thanks to Knut E. Hoff for training them as technical divers through to Instructors, to Bali Scuba for their support in equipment and logistics, to the Porters of Tulamben for their assistance with equipment and gearing up, and to Course Director and Tec Rec Instructor Trainer; SF Chong for his photographic efforts and participation in the Project AWARE Clean Up! By Claire E. Greathead; Tec Deep Instructor and Clean Up event organizer. James, where does it say they were on air? I find your dive to 69m on the drop off on air as impressive as someone saying they drove their car at 150 mp/h in a rain/snow storm. 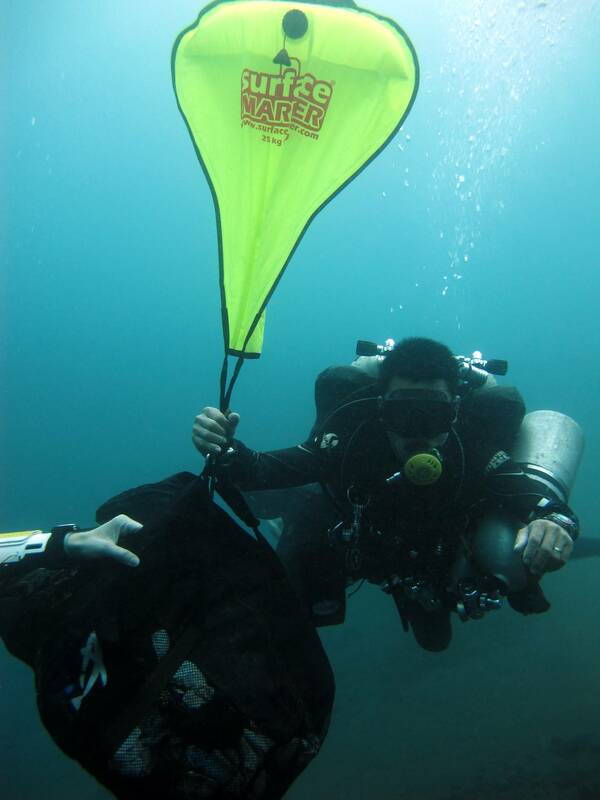 Not only is diving on Air to 60m a potentially dangerous activity to be supporting as an instructor combined with task loading like cleaning can be increasingly risky. If they were on trimix i would imagine they would of said so since Trimix is one of those lovely little key words that gets peoples attention. Regardless of your personal experience, the image they’re portraying to the public is that PADI sanction such activities. 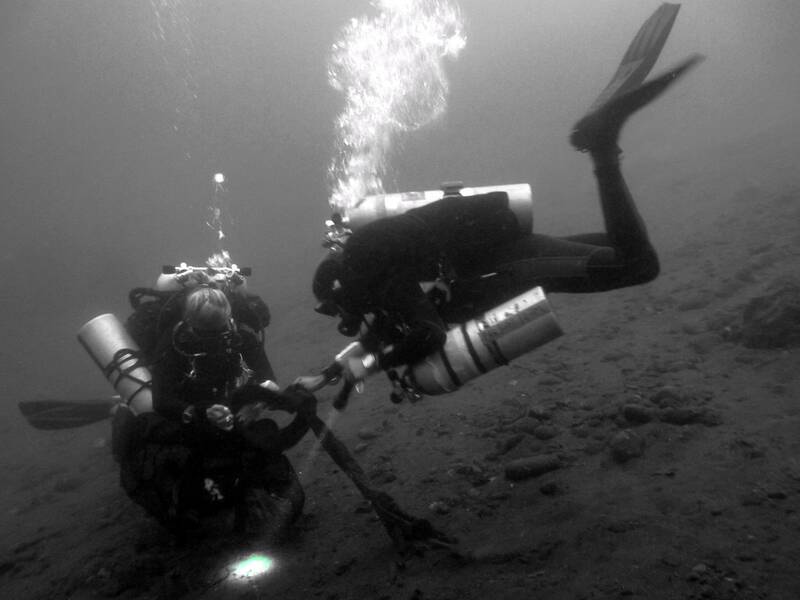 I think this article will give people the wrong idea that underwater cleanup is a widely acceptable justification for completing a complex decompression dive. And that it’s also acceptable to conduct that in a high narcosis environment.